ClorDiSys Solutions, Inc. of Lebanon, New Jersey (est. 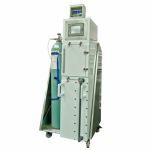 2001) is a company providing years of experience in all aspects of chlorine dioxide technology with a strong background in the Medical Device and pharmaceutical industry operating under GxP. We are a flexible, responsive organization with a network of resources to handle any size project. Each project is approached by utilizing our strong sterilization and engineering skills while drawing on our background in Operations, Service, Validation, and Quality to provide solutions for all of your Chlorine Dioxide (CD) needs. We provide personal attention to ensure customer satisfaction in all services and equipment we supply. Our broad experience allows us to offer a completely turnkey solution, including validation. 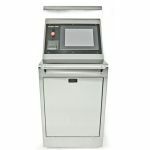 We can provide you with our sterilization equipment, install it, and validate it for your specific application. For those who require the power of chlorine dioxide on a limited basis, we provide decontamination services where we can set up our equipment and decontaminate your equipment, room, or facility. 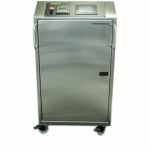 The Minidox-MC is an all-in-one chlorine dioxide gas generation system designed for simple and effective decontamination and sterilization of small items. 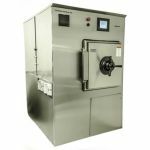 The Minidox-MC combines a Minidox-M Gas Generator, a sterilization chamber, and an integrated aeration system to provide a full sterilization cycle with the touch of a single button. 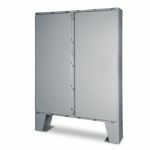 The Minidox-MC utilizes a rugged industrial control system and is constructed of robust, corrosion resistant 316L stainless steel to provide an exceptionally long life. The Cloridox-GMP is a chlorine dioxide gas generation system designed for use in any pharmaceutical, manufacturing, laboratory, or research setting. The Megadox-P is a chlorine dioxide gas generation system designed for use in any pharmaceutical, manufacturing, laboratory, or research setting. The Steridox-VP is a chlorine dioxide gas sterilizer designed for use in any pharmaceutical, manufacturing, laboratory, research or surgical setting. 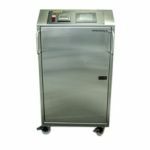 The Steridox-VP provides a rapid and highly effective method to sterilize medical devices, sterile products, instruments, and components at ambient temperatures. 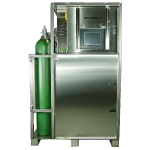 The Megadox is a chlorine dioxide gas generation system designed for use in any pharmaceutical, manufacturing, laboratory, or research setting. It provides a rapid and highly effective method to decontaminate large volume areas up to 560,000 ft3, including rooms, isolators (sterility test, filling line, containment, etc. ), passthroughs, processing tanks and vessels, cleanrooms, lyophilizers, etc. ClorDiSys' Decontamination Chambers are designed for use in any pharmaceutical, manufacturing, laboratory, or research setting. 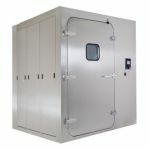 They provide a gas-tight chamber for quick and easy decontamination of equipment and items entering a clean facility or for routine decontamination within a facility. 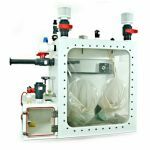 Our isolators are custom fabricated from durable polypropylene or stainless steel and are made to any size specification. 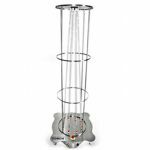 the TORCH Tower is an inexpensive, easily transportable, powerful disinfection system designed for use in any healthcare, pharmaceutical, manufacturing, laboratory, or research setting. It is used to provide a rapid and highly effective method to disinfect surfaces, components, room surfaces and common touch points to reduce the transfer of dangerous organisms. It also offers a way to disinfect components without removing them from the room, which helps minimize the chance for cross-contamination.